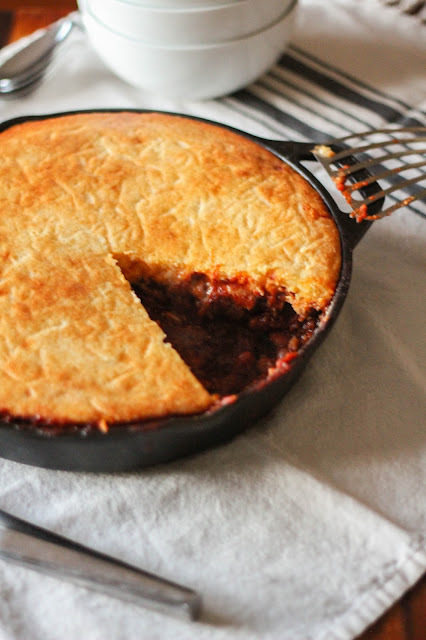 This warm and hearty Skillet Cornbread & Chili Pie is an easy, one dish meal that's sure to please the entire family! 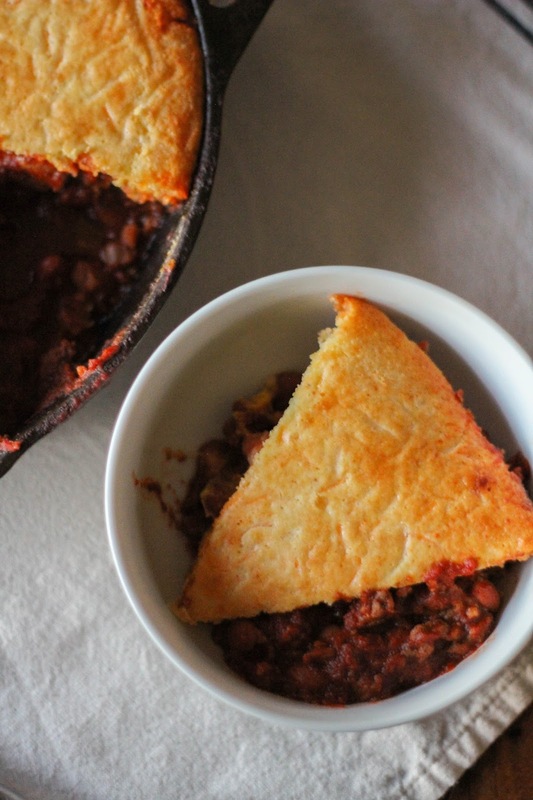 Chili is one of my all time favorite meals during the winter. You just can't beat the warm spices and flavor packed bites on a cold day. I always serve cornbread or cornbread muffins alongside my chili, but I decided to kick things up a notch and make a skillet cornbread and chili pie. Because why wouldn't two of my favorites be combined into one dish? It's a win-win! This dish is so amazingly simple to put together. One skillet is all you need to make a hearty, homemade chili smothered with ooey gooey cheese and a tender cornbread top. Just thinking about it makes me hungry! 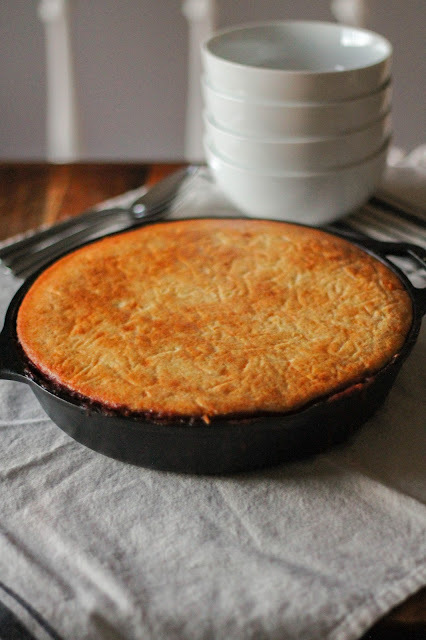 Whether you make this dish for a family dinner, a special get together, or to watch the big game, I guarantee the skillet will be empty in no time! Heat the oil in a cast iron pan over medium heat. Add the onion, garlic and ground beef and cook, breaking the meat up with a wooden spoon, until browned. Stir in the beans, tomatoes, chili powder, cumin, and paprika. Bring to a boil, then reduce the heat to simmer and continue cooking for 15 minutes. Preheat the oven to 400 degrees. 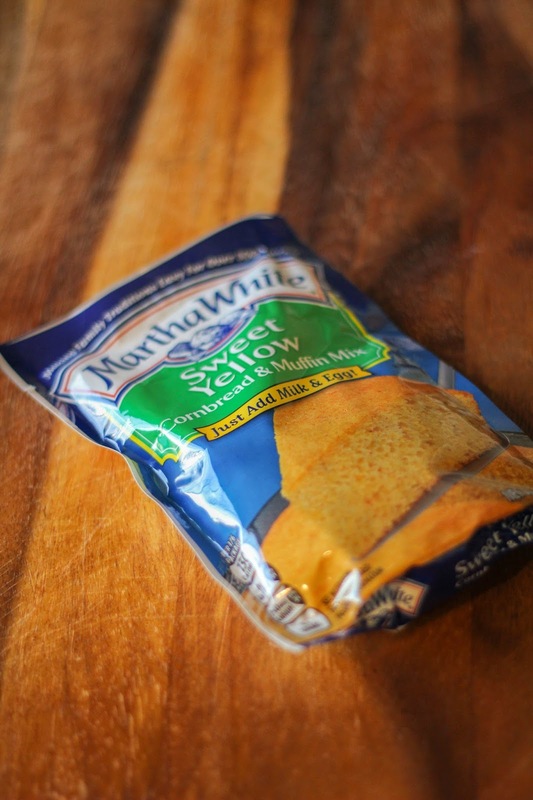 Prepare the cornbread. Whisk the baking mix, egg and milk together in a small bowl. Remove the skillet from the heat, sprinkle evenly with the shredded cheese, then spread the cornbread batter evenly over the chili. 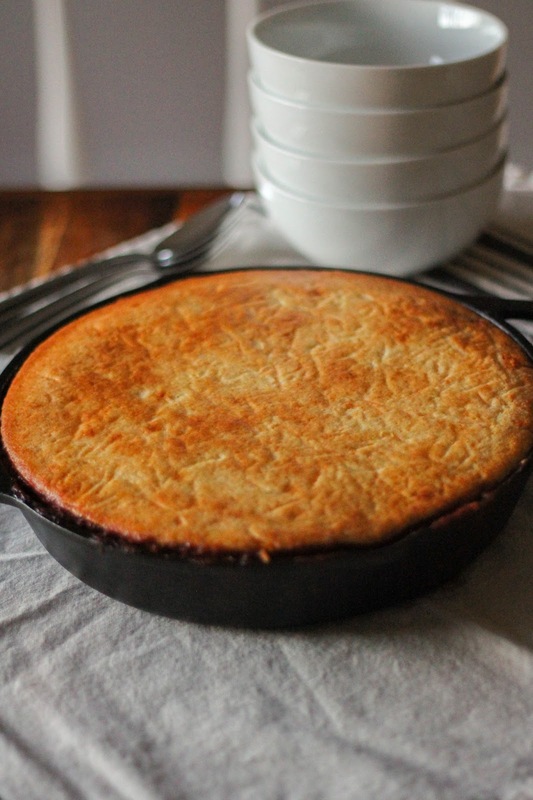 Bake the skillet for 20 minutes, until the cornbread is brown and the top springs back when lightly touched. Let stand for 10 minutes before serving. Cut into wedges, or spoon it out, and serve. This is a sponsored conversation written by me on behalf of J.M. Smucker's®. The opinions and text are all mine.